Alien toys are new to our planet of Loopies Toys. Their tough alien skin allows for play in any type of earthly weather. Their ability to whip through the air with dangling arms is both eye catching and funny. They enjoy swimming, park trips and days at the beach. 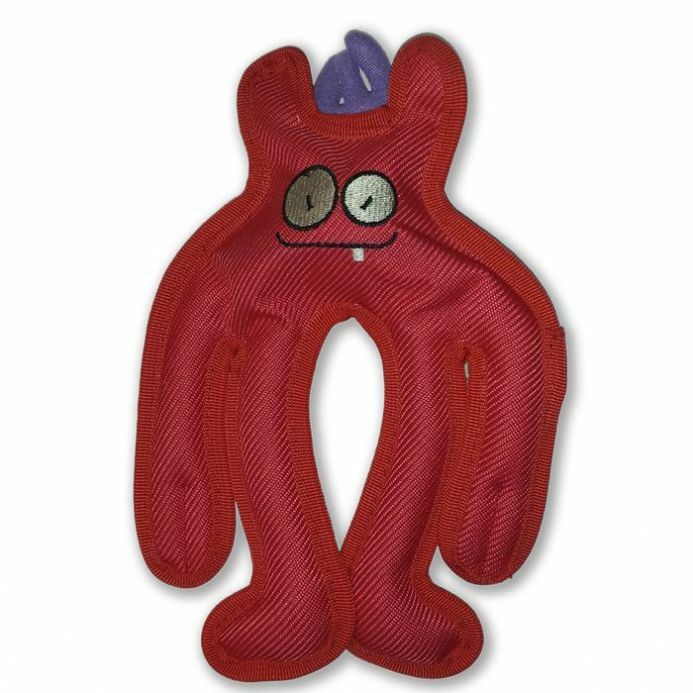 These fun, brightly coloured characters are made from tough canvas material with squeakers added for extra excitement. 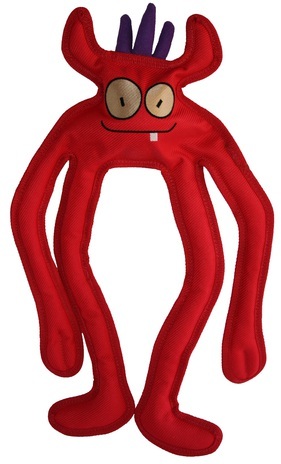 Loopies Specter Alien Tough Toy in Red comes in both Small and Large sizes. The small size Red Specter for smaller dog breeds is 8". Whereas the Large size Red Specter designed for the bigger breeds is 15".